Jill Scott Refutes the Natural "Coup" | Natural Hair Rules!!! Jill Scott is natural and proud. 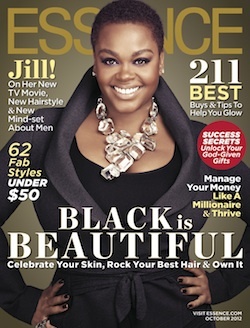 It seems Jill Scott did NOT demand to cover Essence with natural hair. Essence was happy to showcase the singer on the cover with a natural short cut despite the reports that see was being a bit of a diva and demanded that her natural hair be displayed. Read full story here.